Wat is dit voor site? Wij zoeken de goedkoopste boeken op internet. FAKEvonden we het goedkoopst op Bol.com voor €17.99. We hebben gezocht in nieuwe en tweedehands boeken. Rechtsonderaan de pagina kan je het boek direct bestellen	via Bol	.com. Robert Kiyosaki -- author of the #1 Personal Finance book of all time -- has built a legacy around simplifying complex and often-confusing subjects like money and investing. He continues to challenge conventional wisdom and asks the questions that will help readers sift through today's information overload to uncover ways to assess what's real... and what isn't. And use truth and facts as a foundation for taking control of their financial lives. In this new book--that will be released, by chapter, online to invite reader feedback and questions that will be included in the print and e-book editions--Robert fights what's 'fake' and helps readers differentiate between what's real...and what isn't. Robert pulls no punches in his assessment of what is passed off as 'fact' or conventional wisdom and believes that a strong foundation--for anything we want to build--needs to start with solid, true information. In today's uncertain times, creating a secure financial future and the peace of mind that comes with it starts with taking action and taking control. 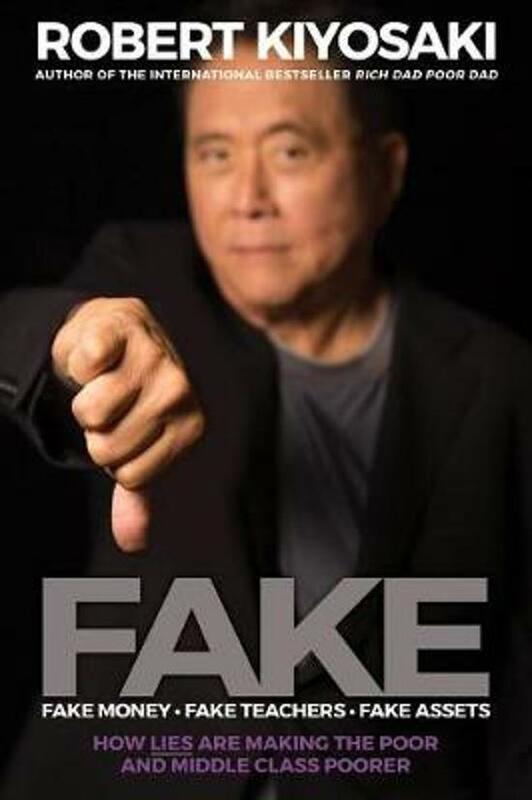 In FAKE: Fake Money, Fake Teachers, Fake Assets, Robert delivers insights and answers that help ordinary people--who probably haven't had a lot of financial education--determine what's 'real' and relevant to their financial lives. Every day we are bombarded with news reports and information and opinions... How do we decipher fact from fiction? How do we differentiate between truth and lies? And determine what's real... from what isn't? Kiyosaki believes that it starts with education, financial education designed to make us smarter with our money--and able to fight what's fake and use what isn't to secure our financial future.